Meet the charming Danielle! A beautiful, spunky five year old who is currently one of our special patients at City of Hope under the care of our very own DGF board member, Dr. Clarke Anderson. This is Danielle’s story. More than a year ago, Danielle began telling her mother that she was having pains in her back and chest. She also had episodes of collapsing from exhaustion. Concerned, her mother took her to the doctor repeatedly, but was told that Danielle was simply experiencing growing pains. Then one day, the five year old came to her mom and said that her side was hurting very badly. Her mom said, “Honey, I don’t know what to tell you, the doctor said it’s growing pains.” But instead of rallying, Danielle went the sofa and curled in a ball. When asked, she told her mom, “It feels like a bone.” Her mother lifted her pajamas and saw a large bump protruding from her side. Immediately, her mom dropped off her baby brother at the grandmother’s house, called her husband to leave work, and took Danielle to the ER. As the doctors tested and looked at X-rays, she could see the grim concern deepening on their faces, but no one would tell her anything for a long time. 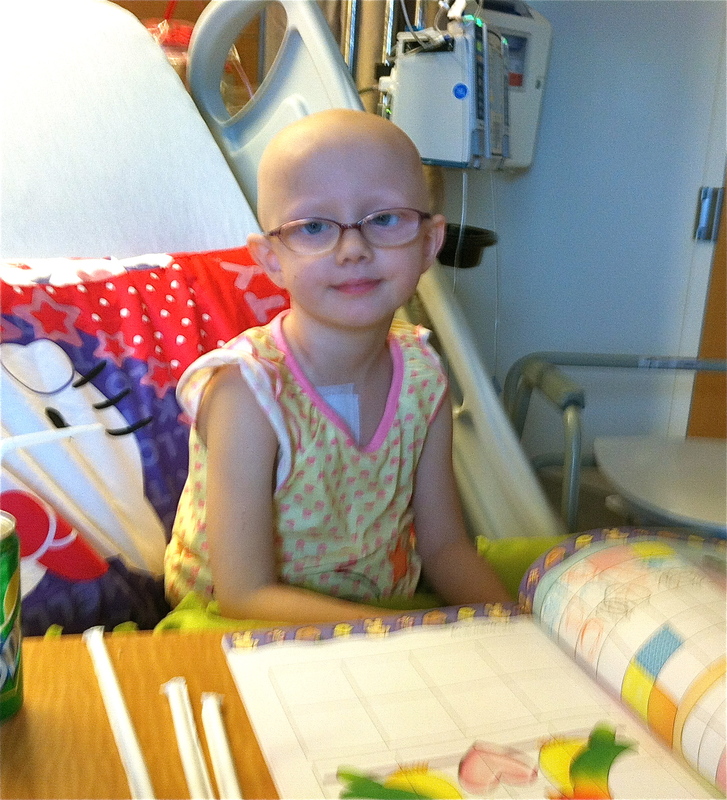 Finally, Danielle’s parents heard the word that no parent ever wants to hear, cancer. They sent her immediately to City of Hope. Danielle’s mother’s father had been treated for lung cancer in one of their satellite locations in Lancaster, where the family lives, and sadly, he had passed away. City of Hope immediately went into action, explaining all of the testing and possibilities to the terrified parents. It would be a few days before definitive results were available. For Danielle’s treatment, the family had to travel, sometimes daily, from Lancaster, a hundred miles each way. And there are longer hospital stays. Danielle has two siblings, a twelve year old and a four year old, and while Dad was working and Mom was with Danielle, they were being watched over by their grandmother, who was already raising Danielle’s three cousins, because their own mother was unable to do so. And then came another family tragedy. Danielle’s grandmother passed away at the end of October, and the three children in her care passed into the custody of Danielle’s parents. Dr. Anderson has worked in pediatrics for 20 years, and is always able to engage with the kids, but for some reason, at first Danielle wouldn’t speak to him, now it’s a way for them to play. When he comes in the room, she clams up mid-sentence, but a little smile plays at the corner of her sweet mouth. “It’s become our game,” Dr. Anderson says. The Desi Geestman Foundation has been able to help Danielle’s family with gift cards for gas and grocery cards, as well as auto repairs, without which they would not have been able to get to Danielle’s treatments. DGF will continue to support this remarkable family with any outstanding needs that we can, but we can only do this through the generosity of people like you. We would like to thank you for making a difference in lives of children with cancer and their families. Danielle and her family thank you too! And I thank those of you who took the time to share this story with me. Previous postWant to Write Well? Learn to Write Badly!